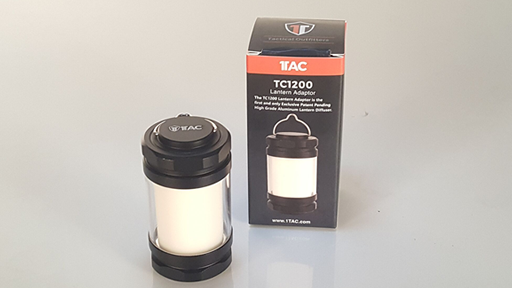 Turn your TC1200 into a power lantern in seconds. 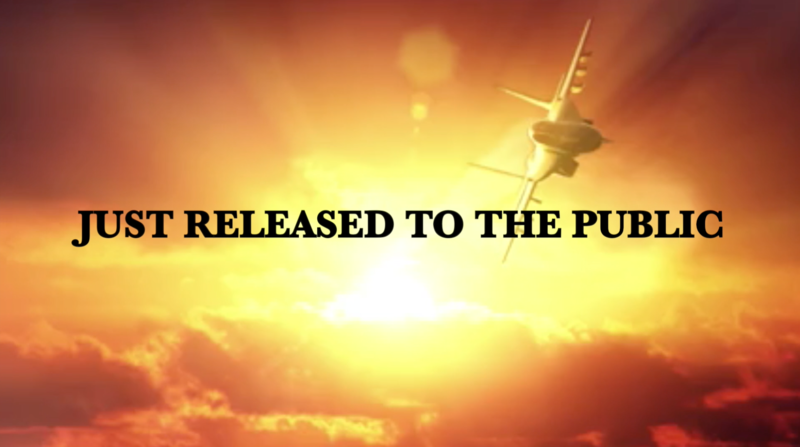 The patent pending lantern attachment is made from the same aircraft aluminum that is used to make the TC1200. It attaches directly to the top of the TC1200 in seconds. 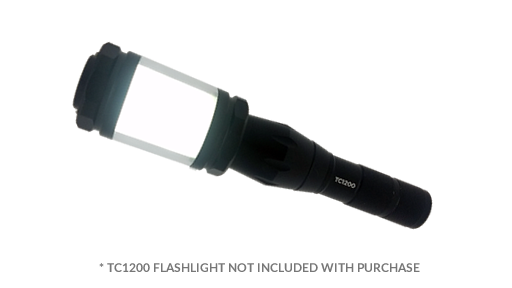 Simply unscrew the lens and replace it with the lantern; making your flashlight into POWER LANTERN! Bonus items: all power lanterns come with a free carry lanyard (pictured above) as well as a caribiner clip. Making it easy to carry and hang/attach to almost anything. 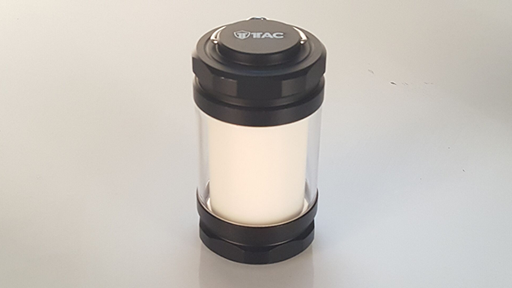 Simply attach the lanyard to your new power lantern and you are ready to go.